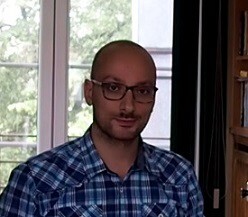 Vincenzo Salzano is a researcher at the University of Szczezin (Poland). As of October 2017 he has published more than 30 papers in cosmology, and in June 2017 he was awarded the Zachodnopomorskie Nobel in Fundamental Science, for his work on varying speed of light detection at cosmological scales. In the CANTATA COST Action, he is co-leader of the “Observational Discriminators” working group. Ruth: Hi, Enzo, so you are one of this crazy mob that wants to refute Einstein? a further confirmation that Einstein’s ideas were right! I truly believe that people working on “alternative theories of gravity” are not “enemies” of General Relativity (hereafter, GR) but rather think that it is not the final theory of gravity, only part of a more general picture, which we would like to understand and uncover. GR is elegant, has been a revolution in our understanding of the Nature, it is even beautiful! 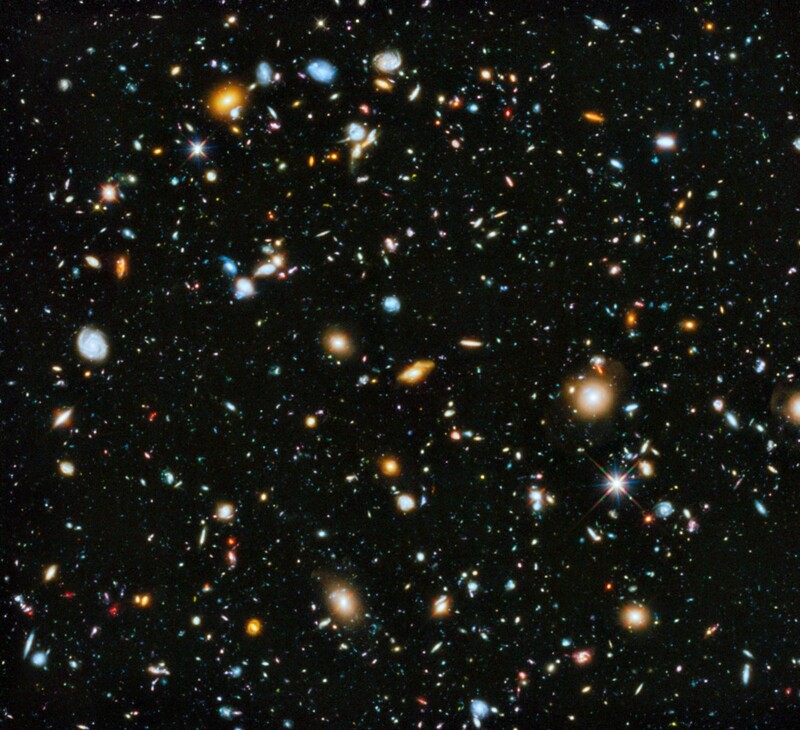 But, keep in mind that if we believe in GR, then, we need to believe (in one way or another) in dark matter and dark energy, which would mean, that we ignore the nature of almost the 95% of what is there in the Universe! R: We have read that in some of your works you even doubt of some fundamental constants, such as the speed of light? E: Mmm…after this second question, I start to feel like a sort of “heretic”! As many other scientists, I like to question myself about Nature; and many times crazy ideas come up almost naturally! This is one example. Yes, there is a quite restricted club of scientists who think that the fundamental constants might not be constant after all. But first, I need to specify what a fundamental constant is. It is any quantity which appears in our theoretical understanding of the laws of Nature set to a specific value because of calculations and or experiments, and we do not know why. The speed of light is one of these quantities: we can measure it, but why does it have this value? And there are many other quantities which behave in the same way. Are they really constant? Or, simply, is the range of time in which we can measure them too small to detect any variation? And if there is such a variation, what is the influence on the evolution of the Universe? It is part of our scientific work and research to try and answer these questions. R: Can you offer us a layman explanation of those baryon acoustic oscillations you seem to be an expert on? galaxies lying on circles, do we? 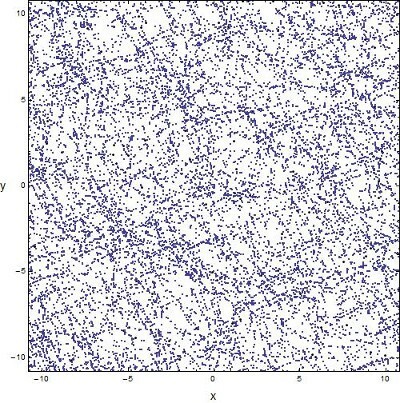 On the right, instead, we see something much more “random”, it could be our Universe, right? Well, the two images are “almost” the same, the only difference is that on the left, I show few (60) circles; on the right, ten times more (600). 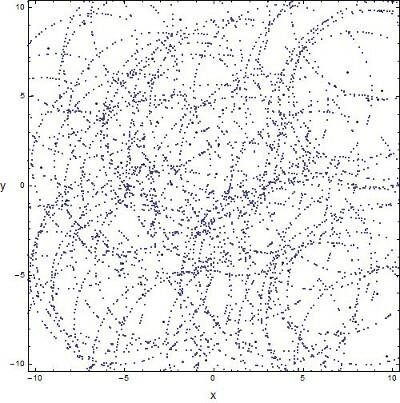 At a first glance, it seems there is no “structure” beneath that distribution of points, but that is far from true. Now, if I were to measure the distances among all the pairs of points which are there, I would find that their values are not completely random, but there is a “typical length”, which appears more often, that is, the radius of the circles. Baryon Acoustic Oscillations (hereafter, BAO) are the same: if you measure real distances among real galaxies, you will find that there is a “typical length”, that we call sound horizon and which is connected to some physical phenomena happening in the Universe, when it was very much younger than it is now. We have calculated, from theory, this quantity, and we have then found it to be real, and present in data. R: One would expect these modified or extended gravity theories are harder to study than the original version? Is this the case? Can you tell us why? R: Finally, do you expect any major breakthrough in the near future in the field? E: Hard question. First of all, consider that I am generally very bad in “premonitions”. So, after you read my answer, please, consider that very likely the opposite of what I say/feel is going to happen! This being said, my answer is: “MAYBE, NO”. Honestly, I don’t have the feeling we are going to have any revolutionary result in the next, 10–20 years, in cosmology. Yes, we have a lot of observational programs ready to start in a few years, and they will provide data with an unprecedented precision. This for sure will help us to understand more clearly what is going on in the Universe, but, to change our vision? No. If Nature will be so kind to provide us with some unexpected phenomena, maybe yes. But, even so, will we be really keen to give up with our consolidated and established Physics for new paths? I like to say: being dwarfs standing on the shoulders of giants may not be enough, if we don’t dare look beyond and farther. That is the real problem. Ruth Lazkoz is the Chair of the CANTATA COST Action. 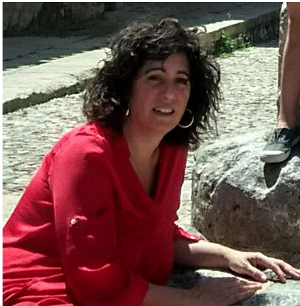 As of October 2017, she is a “profesora titular” at the University of the Basque Country (Bilbao, Spain), has supervised 4 PhD thesis, and has published more than 70 papers on the field of Gravitational Physics., and PI-d two Spanish Government funded projects. She is very active on Medium through various publications of her own and collaborative ones as well.